21/03/2019: Went here with friends for a Christmas get together, never liked Indian food and the staff member recommended what to have and even added in cheese to the dish for me as an extra, lovely meal and we got to TYOB. Was a really good price as well. 13/04/2019: Went following good reviews on trip this area. Small restaurant that in a small strip of shops about 5 miles out Inverness. Food is good with decent range of vegetarian options. Service is excellent-prompt, polite and welcoming. 16/04/2019: Fast and friendly service. Had some poppadoms with spiced onions, mango chutney and mixed pickle. A chicken tikka garlic chilli and Keema Naan. They threw in some weird mango lassie that looked like it had coriander in it. Food was top notch, lost a 5/5 rating for giving me 39p priced marked cans and charging £1 each! 17/04/2019: Last night rather reluctantly we ate here - purely because neither of us normally eat Indian food. We were really impressed by the friendly welcome and excellent food - nothing was too much trouble. We most certainly will be back. 17/04/2019: 2 pints of cobra and two main courses for £60 thought it was expensive for average food, last year was much better for quality of food and price, looked online for prices before we went then went to restaurant was around 8% for expensive, think I’ll try another Indian next time when I’m in Inverness, not impressed. 01/04/2019: Al Raj is a tradition in Nairn. It has been open for 35 years or more and a picture of a young Mr Allay (the owner) is on the wall and while time has moved on, Mr Allay is everpresent with his warm, enthusiastic welcome. 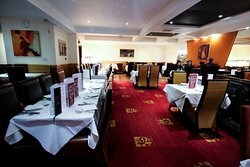 We've visited many times over the years but this is our first review for our favourite authentic Indian experience. The food is fresh, well presented and packed with flavours. 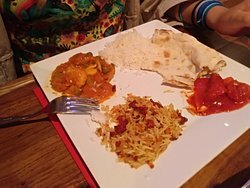 There is great tandoori, beautiful curries and mix between Indian and Bangledeshi dishes. Can't fault it. 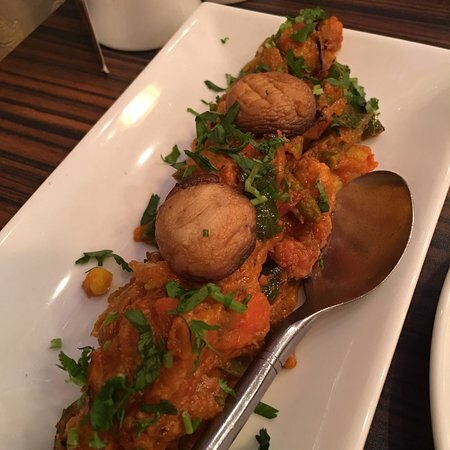 If you can't fnd your favourite Indian dish on the menu, just ask and they will create it for you. Always a good sign. 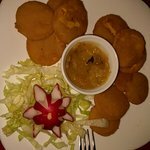 My wife loves Chana Puri which wasn't on the menu and it was no trouble and turned out delicious. Have a chat with Mr Allay if you have the chance, he has great stories and his knowledge of Indian and Bangledeshi food is incredible. 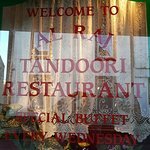 If you like great Indian food you will enjoy the Al Raj. 01/04/2019: A great takeaway meal which was excellent value for money. 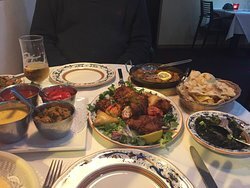 Had two curries two rice, two nan breads four poppadom and four dips all for only £25. 14/04/2019: Good selection of dishes on the menu, freshly prepared all done in a pleasant and comfortable restaurant. Staff very friendly and helpful. 14/04/2019: Could not fault the service or food it was excellent. We ordered chicken tikka masala and the house special lamb tikka tiger..... both dishes were delicious. 08/04/2019: A takeaway in Fort William took first place in the worst curry ever awards, this was a close second. Ordered a takeaway from this restaurant having moved recently to Beauly. The mixed pakora was swimming in oil, as was the mushroom fried rice and both main course curries. 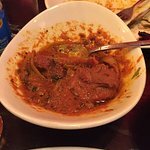 Each of the curries had chicken tikka but different sauces, both were as tasteless as each other with not a hint of heat despite being described as of medium strength and highly recommended by the chef. The chapattis were undercooked and the naan bread dry. The addition of the stale poppadoms was a stretch too far and the entire was boxed up and returned with a request for a full refund. This may have been a bad night at the office for the chef, we’ve all had one of those however he shouldn’t have let such a disaster of a meal leave his kitchen. 15/03/2019: Wow, this is the place to go if you want an Indian Takeaway! 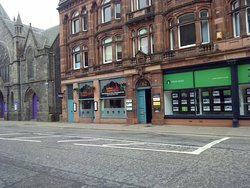 in Moray From the moment I walked in I was greeted by one of the team, ordering was straight forward and my meal did not take long at all. But best of all it tasted amazing. Loved the little extras.. popadoms, spiced onions, salad etc. 14/03/2019: Me and my partner recently visited this place. We ordered seek kebab starter. The portion was really big. Me and my partner share seek kebab. It was really delicious! I am big fan of this place. The main meal was also remarkably tasty! 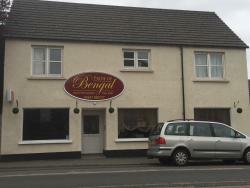 I recommend this is the best Indian restaurant in this area! 12/04/2019: After booking in to where I was staying, I decided to explore places to eat and found 'Cinnamon' and welcomed inside to tasty their cuisine by a local 'native' named 'Euan.' All the staff are very friendly and helpful. The restaurant was very clean and there was a buffet on...eat as much as you want! 08/04/2019: Went as group of 11. Note restaurant is underground down steep stairs. Food was good but pricey for the sides and extras. At 10pm staff started to shut up shop even though our 11 still in restaurant ordering dessert and lots of drinks. Turned off music, all stood waiting in coats to go home.... that was a shame. 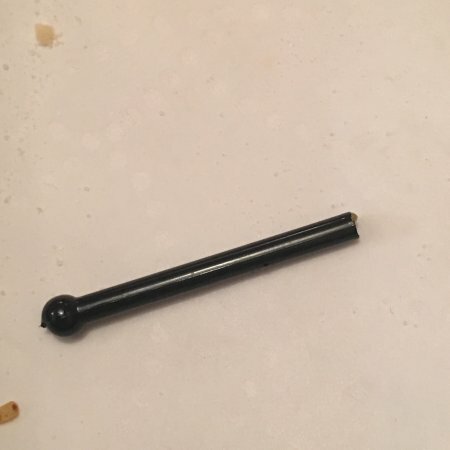 16/04/2019: It was a relatively quiet Thursday evening and we asked for a quiet table as my husband has hearing problems. The Romanian waiter, Kris, was very attentive and kindly turned the muzak down so that he could hear what we were saying to him. The staff took care to ensure that items chosen from the menu did not include any allergens and the food was served promptly and courteously. As there is no Alcohol Licence, folk are invited to bring their own bottle, but they make no corkage charge. A very pleasant evening! 08/04/2019: 4 of us went for a sit down meal and thoroughly enjoyed it. Food was hot and tasty. The Nan’s were big as were the papadams (compared to Australia). All 4 of us enjoyed the meal. 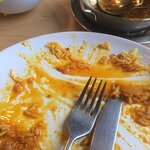 09/04/2019: Food was fairly good! 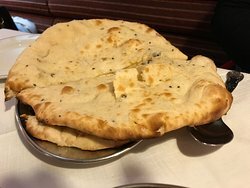 But they charged naan double (for sharing) and the drinks were 3 pounds each for a tea and a halfpint. Thats out of tune. Those things matter in the end for the total experience. 17/11/2018: Out for a meal with friends who have just moved up to Orkney. Great food, lovely mixed starters. Made my dhansak specially as I like it! Friends very impressed by both the food and service. All just great.